This is a quick DIY to go along with the fabric bow tutorial I posted the other day. 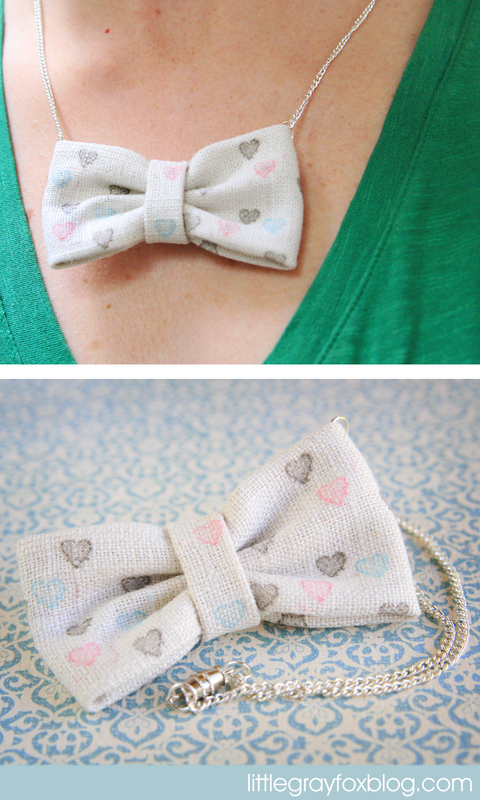 If you don't have a bunch of fun fabrics to turn into bows, just make your own! 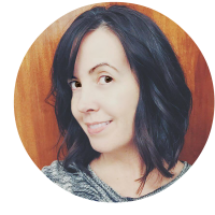 I used a neutral linen fabric, but you could use muslin or even an old cotton tshirt! 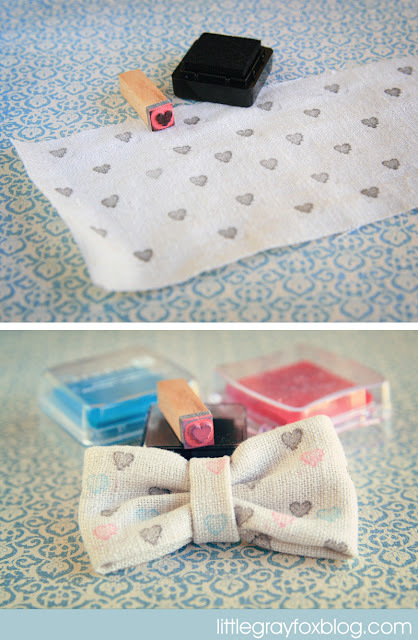 Cut your fabric to size (for my 2.5 inch bows, I use about 6 inches of fabric) Using some fun rubber stamps with letters or designs, stamp out your pattern on one side of the fabric. Next, turn your fabric into a bow following my instructions from THIS POST. 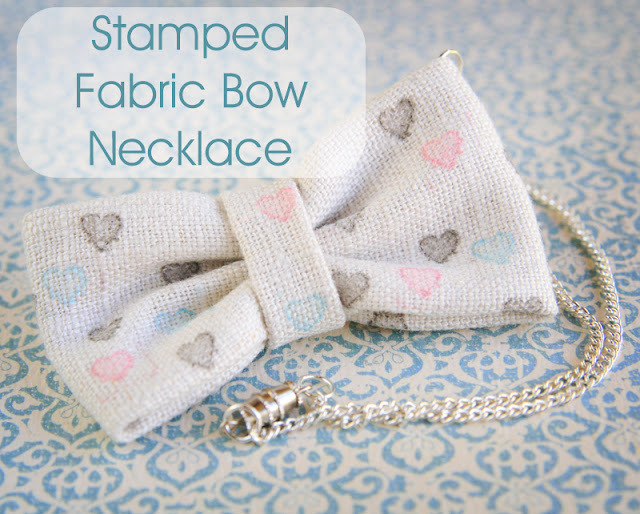 Now it's time to turn your cute bow into a necklace! Grab a few jump rings, a clasp and a length of chain. 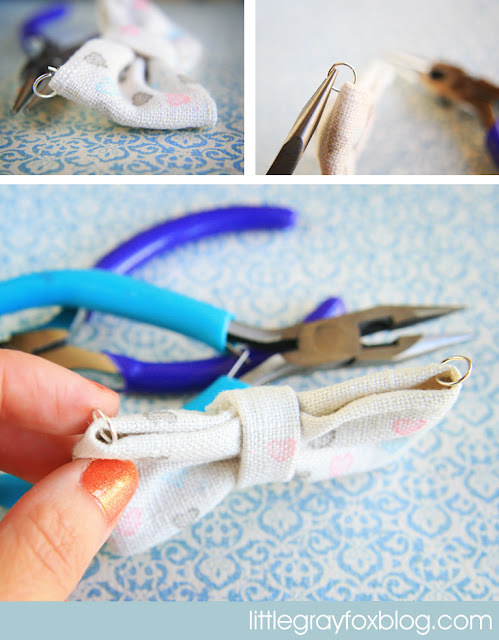 No need to sew in the jump rings -- just poke them through your fabric. Attach your chain and fasten the clasp and VOILA! A one-of-a-kinda necklace! How fun! This is so adorable! I love it. Enjoyed learning how to make the necklace, now I need to actually try it!